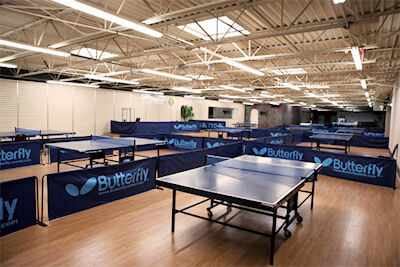 The Table Tennis Training and Event Center is located in West Valley City, just west of Salt Lake City, Utah. We are one of the largest facilities solely dedicated to Table Tennis in the United States of America. Our vision for the Table Tennis Training and Event Center is to provide a healthy, clean and safe family environment for everyone who enters this facility. Our goal is for each person to engage in a spirit of fun and competition. We hope that families will find a welcome place where everyone can have fun together. We are committed to providing a high level of coaching and competition for those who might aspire to local and national competition. This will happen through leagues and personal and group lessons and tournaments. We are fortunate to already have nationally recognized talent on our coaching staff who reside here in the Salt Lake City area. Our coaches love to share their passion with all age groups. Depending on time and availability, private lessons can be started as early as age 5 (please call for more details). Beginners will be welcome and we have programs to ensure you play with others at your skill level. We will provide you with opportunities to play just for fun or to advance. We plan on having corporate, university, church, charitable and wheelchair events. 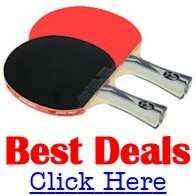 Table tennis is a sport for everyone to enjoy. 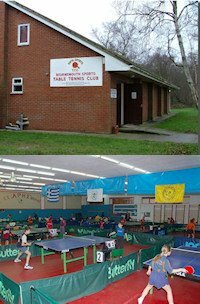 The Table Tennis Training and Event Center is a place to bring family and friends and hopefully develop new and lasting relationships. The Table Tennis Training and Event Center is an attempt to realize the dreams of many people who love and believe in a sport that impacts people of all ages. This club is a continuation of the work of George Majors and his family. His dedication of 32 years to promote the sport of table tennis (ping pong) is truly an inspiration. Without the Wasatch Table Tennis club and it’s dedicated members, we would not have been able to take this important step. We will always be grateful to George and his family for all those years of love and commitment to the sport of table tennis. State of the Art Facility - We are unique in that we feature enhanced lighting, rubberized flooring, a robotic training table and a fully stocked Pro Shop. We have 4 full time tables set up in Olympic playing standard and 1 full time robot with a net cage. Coaching – Coaching is available for anyone at any skill level. Coaching is for anyone 5 yrs and up. There are coaching profiles and contact information on our website. Schedule and rates vary for each coach. Please contact them for details. Leagues – We have offered leagues in the past and we plan to offer leagues again in the future. At this time however we are only offering a Wednesday evening Round Robin starting at 7:30pm. You can form your own personal group for league play or have your company or local business sponsor a league for you. Availability, fees and contact information for leagues can be found on our website. Pro Shop – We host a fully stocked Pro Shop with manufacturers like Butterfly North America, Joola, Li-ning, Zero Pong and Paddle Palace. You can find the right equipment that suits your game. Corporate Programs – We have a corporate wellness training and networking program. Please see our website for contact information and scheduling. Group Programs – If you have a large group (12 or more) from a school, church, family reunion, scouts etc., give us a call. With over 6 tables available we can accommodate almost any group size. Please contact us for pricing and availability. Our club is designed to be at your disposal. As a member you are given a key card that will grant you access to our club any time between the hours of 6:30am and 11:30pm. Visitors are invited to come after 6:30pm week nights or by appointment.